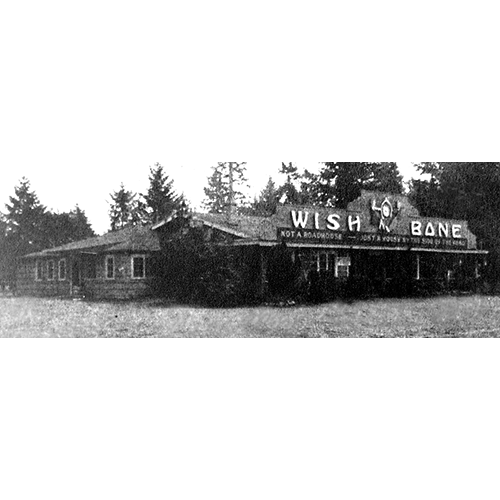 The Wishbone Inn wanted passersby to know that it was "not a roadhouse--just a house by the side of the road." Located at 7330 Bothell Way, the inn served chicken dinners in the 1940s. The Schnitzelbank, a German restaurant, was a later, longtime occupant of the site.